ML Executives has added an Avolites Tiger Touch II to its growing rental inventory of lighting equipment. The additional product allows ML Executives to offer a complete lighting solution to clients from in-house stock. 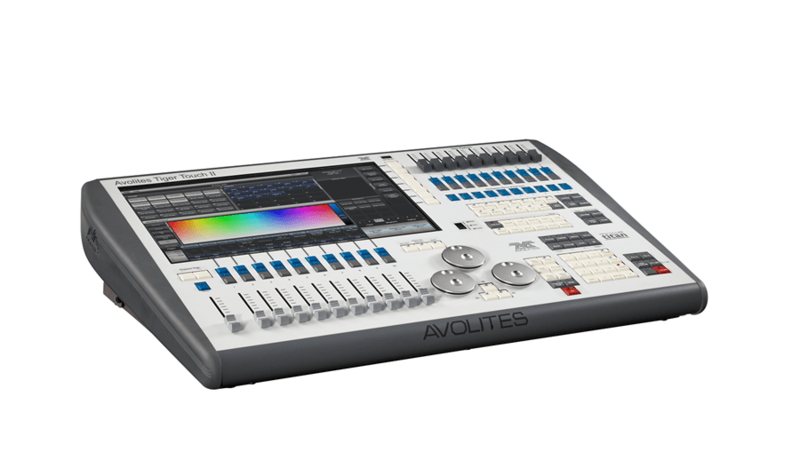 The Avolites Tiger Touch II is equipped with four physical DMX universe outputs available on the back panel the surface. This makes the console ideal for even the most complex of small shows in its stand-alone configuration. With the option to increase the output count to 8,192 DMX channels using ArtNet, the system is also ideal for larger shows and pixel mapping projects. If further channels are required the Titan software allows for the console to be connected to Titan Network Processors. This can give a maximum of 64 DMX universes across the network. Avolites are considered to be a cornerstone brand within the lighting industry by many. The addition of Avolites products to rental inventory represents ML Executives continued commitment to providing high quality equipment to clients. Avolites see the Tiger Touch II as their most commonly specified console so it is expected to be kept busy. The low weight and compact footprint of the surface make it ideal for shows where space is limited or where there are logistics limitations. The redesigned surface of the Tiger Touch II aligns to the layout of the other surfaces in the current Avolites range. These include the Quartz (the smallest of the family), the Arena and the Sapphire Touch. The exhaustive list of fixture personalities available from the Avolites website makes control of any fixture intuitive and simple. The capabilities of the built-in shape generator in the Titan software make designing visually impressive lighting effects quick and effective. To read more about Avolites products and the Tiger Touch II surface click here. To contact ML Executives call +44 (0)1322 552828 or email info@mlexecutives.com.